This headboard was made for my son's bed. 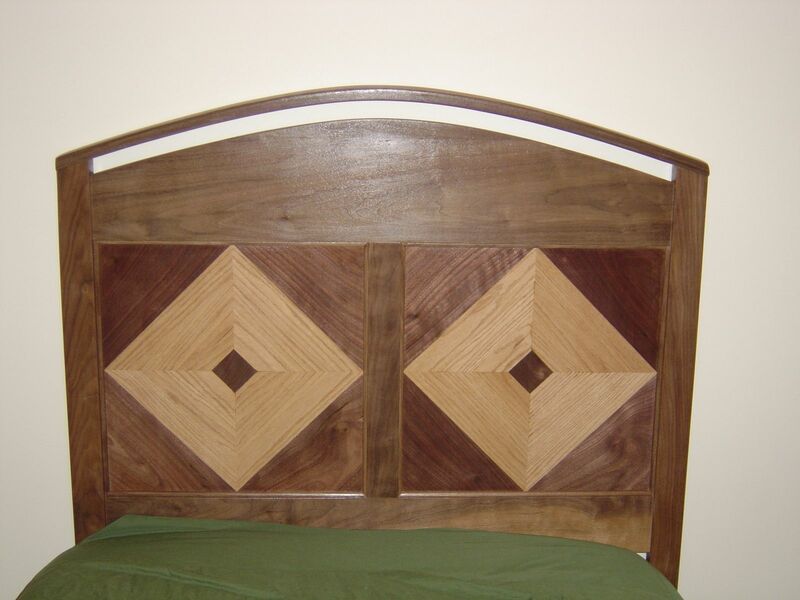 It features inlaid walnut and oak in the diamonds and a bent lamination for the top piece. Meant to be reminiscent of baseball diamonds.